Rabbi Chaim Groner told the Commission Rabbi Zvi Telsner no longer had a leadership role at the Centre (photo: ABC). 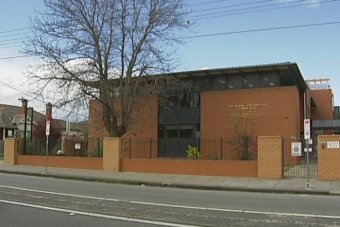 ​Victims of child sexual abuse have raised concerns with the Australian Federal Police and the royal commission into child sexual abuse about evidence presented by a senior Melbourne rabbi last month, alleging it may be misleading. Yeshivah Centre Rabbi Chaim Groner went before the commission last month and was quizzed about the resignation of his colleague, Rabbi Zvi Telsner. Rabbi Telsner stepped down from his head role in 2015 after he appeared at the inquiry and was asked to explain comments he made in sermons about abuse victims. Rabbi Groner told the commission Rabbi Telsner no longer had a leadership role at the centre. Phillip Weinberg, a spokesman for Yeshivah Centre victims, has claimed Rabbi Telsner is still being introduced at public events as the head rabbi of the Yeshivah Centre. "It's very difficult to understand how Rabbi Groner can say the full extent of Telsner's involvement is as a congregant who delivers a few classes," he said. Under the Royal Commissions Act, if a person intentionally gives evidence that they know to be false or misleading, they can be sentenced to up to five years in prison or fined up to $20,000. At a commission hearing in March, Rabbi Groner's was asked if Rabbi Telsner was still involved in the Yeshiva Centre. "Is Rabbi Telsner still involved with the Yeshivah Centre in Melbourne?" Counsel assisting Naomi Sharpe asked. Rabbi Groner replied: "Not as the head rabbi." "I'll ask the question again: is Rabbi Telsner still involved in the Yeshivah Centre in Melbourne?" Ms Sharpe said. Rabbi Groner replied: "Yes … He is in the synagogue and he gives a few classes." The Australian Federal Police has confirmed it is looking into an allegation of false evidence being provided to the royal commission, but a spokesman said while the referral was being evaluated he could not comment further. The Yeshivah Centre said it would communicate with its members once it had information regarding Rabbi Telsner. "We are looking into these concerns and will come to conclusions in due course," it said in a statement. "Note also that in the next few weeks the new board will be releasing a grievance policy to facilitate the fair and proper examination of any complaints." Manny Waks, a former student at the Yeshivah Centre, has spoken out about sexual abuse he experienced as a child in 2011. Mr Waks said victims were experiencing ongoing trauma and called for a full investigation. "They are continuing to hurt victims, survivors and our families," he said. Originally published at the ABC.